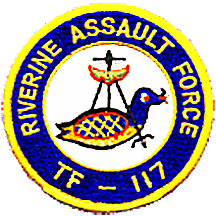 RAG stands for Riverine Assault Group, a Navy unit in Vietnam which ran joint operations with the Army 2nd Brigade, 9th Infantry as the Mobile Riverine Force. My avatar was our patch. That IS the republican way. When you do something wrong, stand by it, and then double down. Trump thinks that the treasury is just there to pay his bills. To be accurate, Barr should be wearing a blindfold and holding a deck of tarot cards. I think that Barr is his (trained) seal. Just remember to keep children away from Democrat owned pizza parlors. Is that like the senior residence where they giv all the old men Viagra so they don’t roll out of bed? Bok has probably occasionally stumbled over the truth, but hastily picked himself up and went on his way as if nothing had happened.